A weekend in Europe exploring a new city with your family can sound like a dream come true with budget airlines now making it cheaper and more convenient than ever. However, if you’re a nervous flyer, even considering a short one-hour flight can be enough to make you not book the break at all. If this sounds like you, there are things you can do to help you relax both before and during your flight. Personally, I’m not a fan of flying. I love to travel and have explored both ends of the world with some of the longest flights possible, but it doesn’t mean that when I board an aeroplane to head over to England on a short 40 minute journey, I’m not still nervous! However, this doesn’t put me off travelling and it shouldn’t deter you either! First of all, when you go to book flights it’s probably best to avoid those that have stopovers. If you experience greatest anxiety during take-off and landing, then it makes sense to choose a route where you’ll be doing this the least number of times possible. You might worry that this will end up costing you more, but book far enough ahead (and maybe check out our flight finding tips!) and it may not be as much of a problem. However, if it does end up costing more then it’s up to you whether the cost or stress wins out on this one. When travelling with families for a short break, the idea of indirect flights is probably not worth it anyway – if you’re only staying a couple of nights you don’t want to spend another 24 hours getting there and back. Similarly, when thinking about booking flights for an upcoming break, we advise thinking about your seat choice (even if it is an extra bit of money!). If you feel claustrophobic during a flight, then picking an aisle seat is a great option and gives you a bit more freedom to talk to the air hosts and hostesses about your anxieties. Alternatively, if being able to look out the window puts you at ease, then choosing a window seat prevents you worrying even more about bothering the people beside you as you crane over other passengers. 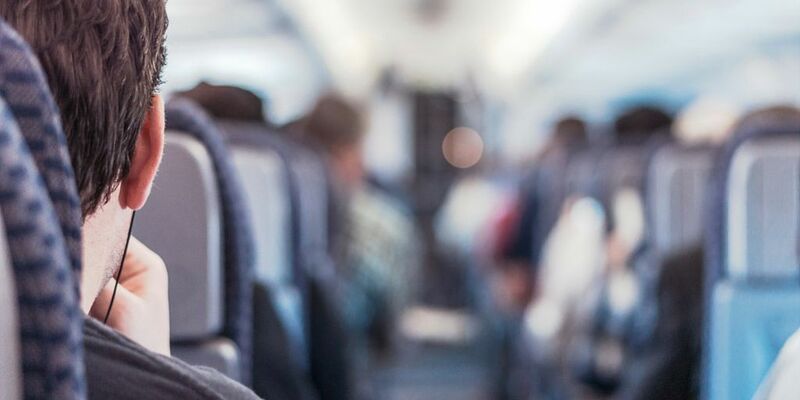 If your fear of flying is something that has really put you off travel in the past, then these simple tips might not be enough for you to feel comfortable enough to get on a plane. If this is the case, then it may be worth considering a course to help get over your fear. While general courses for any phobia can be taken around the UK & Ireland with expert help, airlines themselves regularly run courses to help put you at ease in a realistic environment. Often completed within one day, you’ll be able to question and hear from pilots, air hosts/hostesses, and psychologists to help address your fears. At the conclusion of this, there is often a short flight of around 30 mins when you can put these into action with the help of the same pilots and staff. If you’ve taken the big step and booked your next short break, then there are also some tips to help you during the flight itself if you’re still feeling anxious. Firstly, the modern day has allowed for the creation of a huge number of apps to help with every single problem you can think of – including air travel. The SOAR app is free to download and contains tips to take you from arriving at the airport to the plane journey itself. There are videos explaining the science behind flying, while during turbulence you can alleviate your fears with the G-Force metre which shows you just how little threat this is to what the plane can withstand. Alternatively, downloading some games which you can play without being connected to the internet can provide a great distraction. Distractions are a great way to relax during any journey and can help you stop checking your watch every minute for the scheduled landing time to approach. For me, short haul flights are actually more nervous due to the lack of distractions, whereas on a long-haul flight over 12 hours (of which I’ve now completed 4 in my life!) I can easily pass the time without feeling like I’m even travelling. On long-haul flights, there will usually be an entertainment centre on the back of your seat, with more movies, TV shows and even games than you could ever need for such a break. However, this can get exhausting and there will come a point when you can watch TV no more. It’s here that you should prepare with books, puzzle books, or even your own music to help you relax and drown out the sound of the plane itself. On a regular basis during any flight, you’ll see air hosts and hostesses moving through the cabin. If you’re an anxious flyer, don’t stress about making this known to them. The staff are there to help you throughout the journey, and they will be able to explain to you anything unfamiliar (e.g. noises during a flight) which might be making you uncomfortable. Again, this is easiest done if you sit at an aisle seat where they may check-in with you each time they are passing through to give you updates and help you relax. A final though to consider if you’re off on a short break with your family and don’t want to be nervous during the whole flight is to avoid caffeine and alcohol. While this might seem like a good idea in the short-term, it may actually increase your anxieties and make a less comfortable journey for other passengers – even if is just because of their need to let you go to the bathroom regularly!